Quentin Tarantino fans were delighted when an old, animated teaser for his upcoming film The Hateful Eight finally hit the web last month. Now, there's much more to be excited about with cast photos from the set of the film. The new issue of Entertainment Weekly features a cover story on the film, and with it comes exclusive character portraits. In other words, we finally get to see Kurt Russell, Samuel L. Jackson, Jennifer Jason Leigh and others in their full Western regalia. In addition, there are a handful of other shots of the set, including some images of Tarantino at work. Peruse all of the photos below. 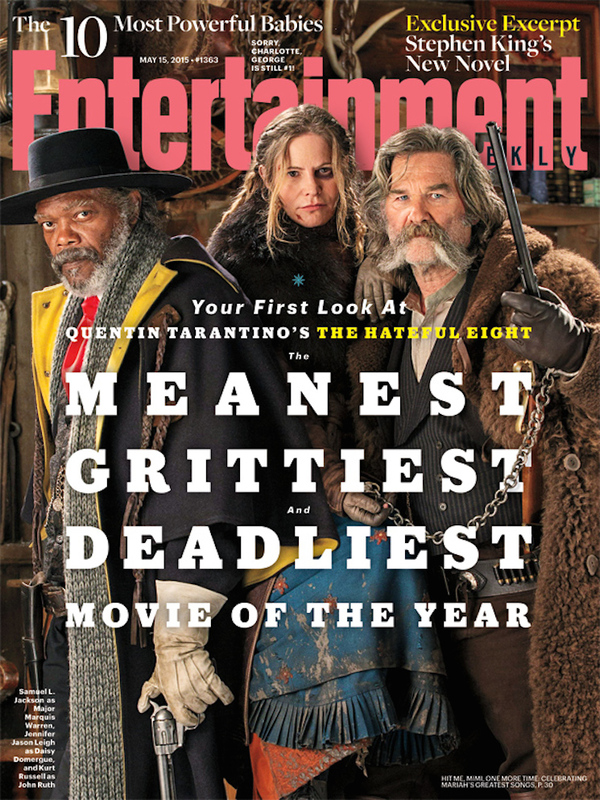 The Hateful Eight will open later this year.